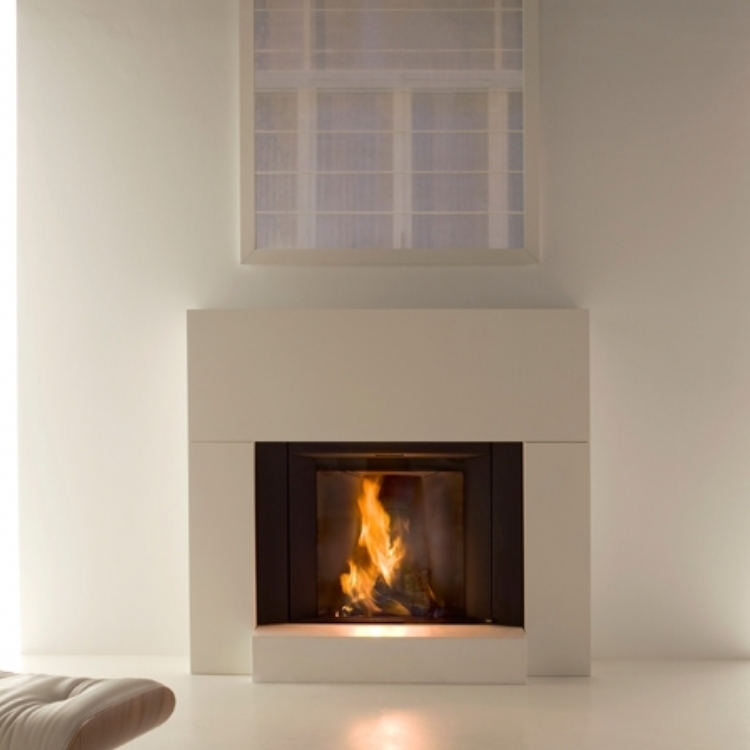 Customer Aspiration: Modern contemporary design which will fit with a clean white design. 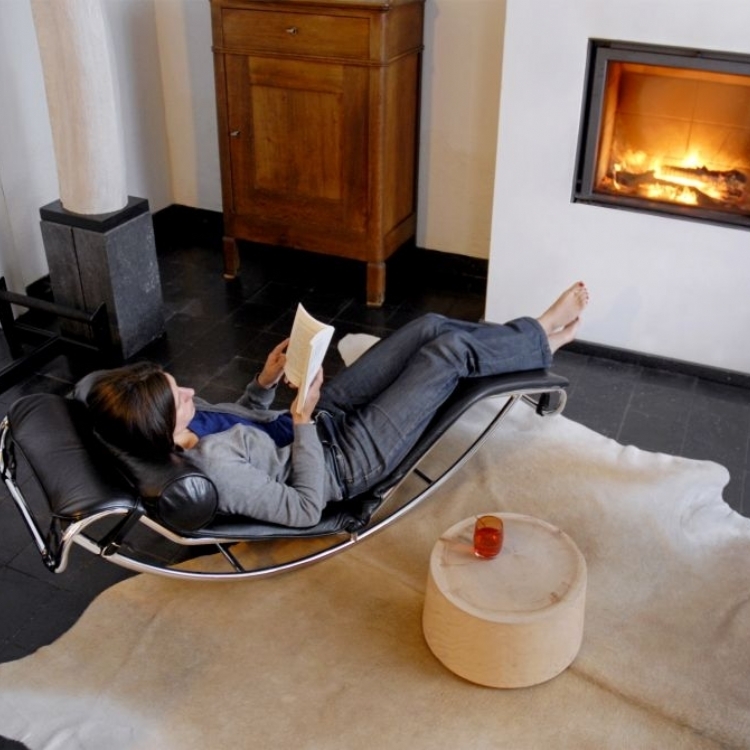 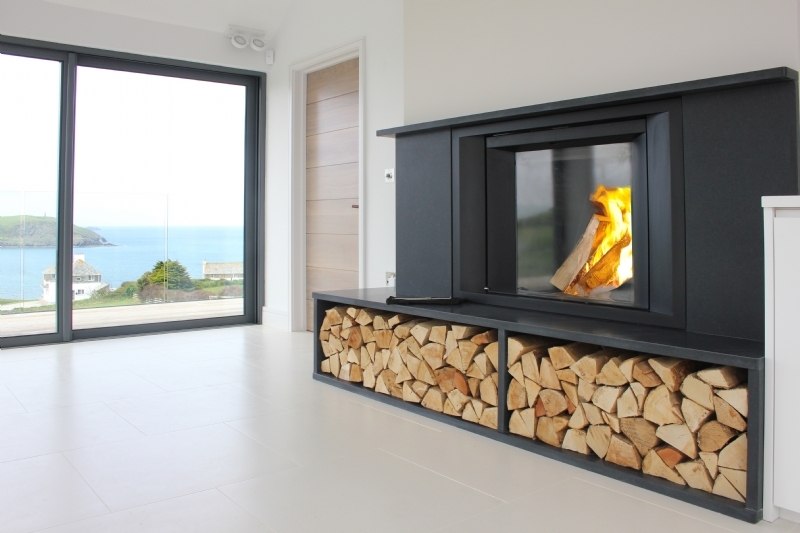 Special Requirements: Log storage to be part of the design of the fire. 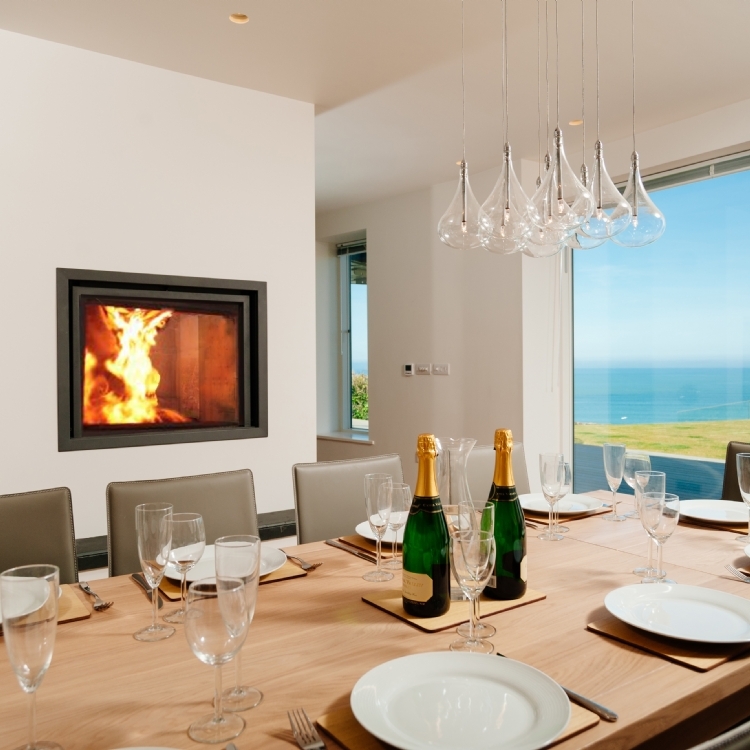 Ross Colledge worked alongside 3iDog interior designers to produce this bespoke fireplace in a new build on the North Coast by Gynn Construction. 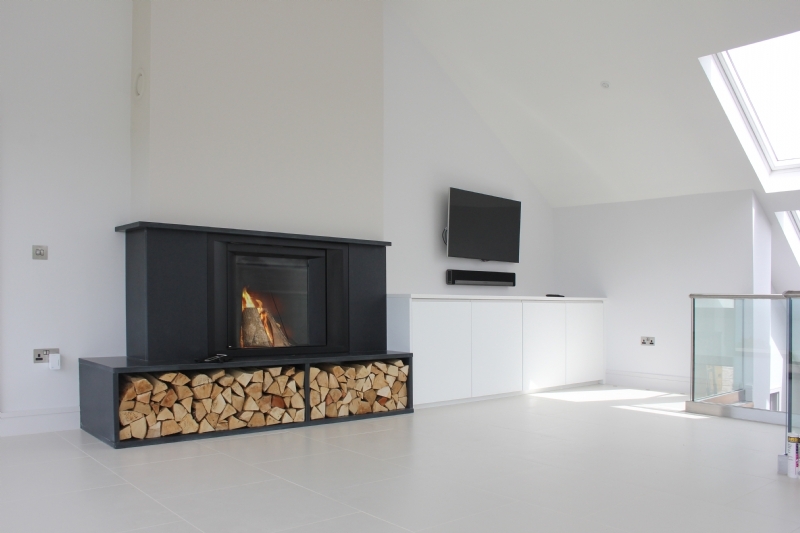 The fireplace was fitted and black granite cut to specific calculations provided by Ross and fitted by a team of Kernow Fires installers lead by Jack. 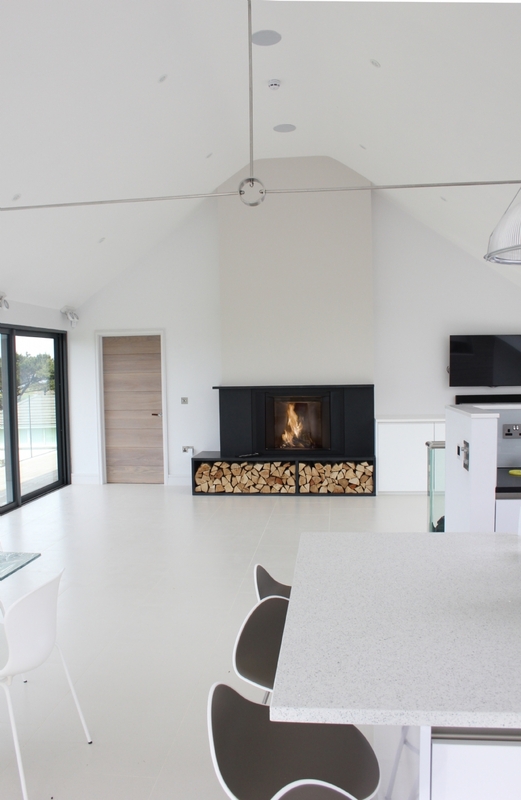 The high quality of finish throughout the house is reflected in the design and attention to detail on this ultra chic fireplace which is the focal point in the open plan living space.